The Alumni Relations Office organized a lecture about “Self Development, The Success Formula” on Friday November 25, 2011 at the Business Building, Beirut Campus, room 903. 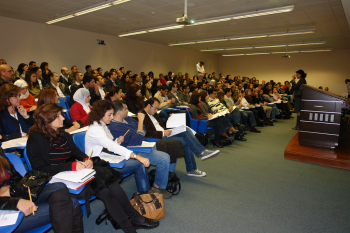 The lecture was presented by LAU instructor Ms Georgina Ibrahim, a professional trainer in the field of Soft Skills. She is the founder and director of the Soft Skills training agence: www. besst-lb.com. Over 230 alumni and friends attended the event which was followed by a reception.